When the X Ambassadors dropped in for a beer before one of their shows, we were stoked. They’re international rock stars! Yet they’re grounded, humble dudes who support the local communities that serve them. So, while kicking it over a cold one we wondered if there was a way to capture this spirit together in a beer. There was, and that beer is Magic Hat X, an American Pale Ale that exemplifiesthe X Ambassadors’ music and spirit. 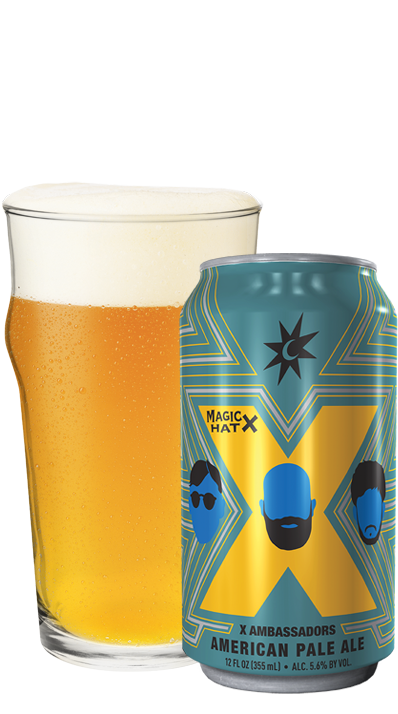 Magic Hat X features lemon and melon hop notes that dominate over a light resinous character and smooth finish. It’s crushable anywhere, whether you’ve got floor seats at a show, a blanket laid out at a festival or just kicking your feet up while spinning vinyl. Cheers to you and stay humble. The X Ambassadors are an American rock band from Ithaca, New York. Their debut full length album, VHS, was released in 2015 and went on to climb to the seventh spot on the Billboard 200. 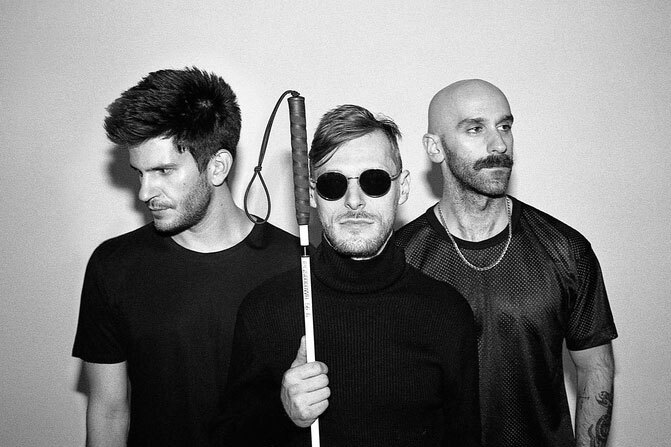 Formed in 2009, the X Ambassadors are known for making dark, passionate, electronic-based pop with soulful vocals from lead singer Sam Harris. True to their roots and love for local communities, the band returned to their hometown of Ithaca in 2017 to co-headline the Cayuga Sound Festival.